Pros Smoothies, soups, salad dressing, margaritas -- you name it, this machine can do it all. Strong motor; tank-like reliability and durability. Cons The price might stun you, but those users who took the plunge loved it (after they got over the sticker shock, that is). 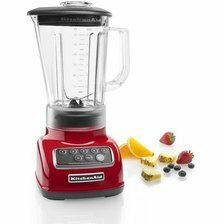 Summary If you truly want the best blender on the market, this is the one to get. 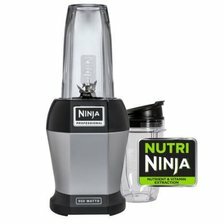 Pros Highly rated for its competitive price, emphasis on vitamin and nutrient extraction and ability to blend "in the cup" for smoothies on the go. Cons Its design places too much of an emphasis on smoothies and health drinks, but it is a solid general purpose blender. Summary The absolute best value for your money. Essential features at an attractive price. Pros Mid-priced and offers basic features, but it does its job well. Great for smoothies, cleans easily, and handles all manner of tasks with ease. Cons Can be very loud. Some durability problems have also been reported. 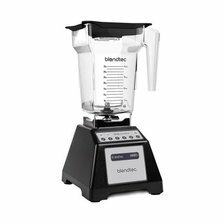 Summary A no-nonsense blender that is powerful, handles most tasks and is available for a good price. Pros Mid-priced offering with a retro look to it. Powerful motor and blades that users report grinds through ice and just about anything else you'd care to toss in it. Cons Reports of problematic bases that don't "sit" when the machine is running. Summary Very impressive set of features for a mid-priced model. Most users that own it seem to like it. Pros In the same category as the Vitamix in terms of reliability, durability, customer loyalty and flexibility but can cost a bit less if you find the right sale. Cons Expensive, but people who buy it tend to love it. 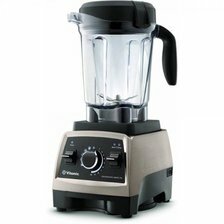 Owners of this and the Vitamix argue over which one is best. Truth be told, both are great. Summary Just a little bit shy of the Vitamix in terms of quality, but you can't go wrong with this one.